The Promise. Ok, I couldn't help myself!!!! I just have to post lebih of The Promise on here!!! It's a habit!! Sorry if I'm ruining anything for you!. Wallpaper and background images in the Avatar The Last Airbender club tagged: avatar the last airbender avatar toph aang katara sokka. Ok, I couldn't help myself!!!! I just have to post lebih of The Promise on here!!! It's a habit!! Sorry if I'm ruining anything for you! Lol! 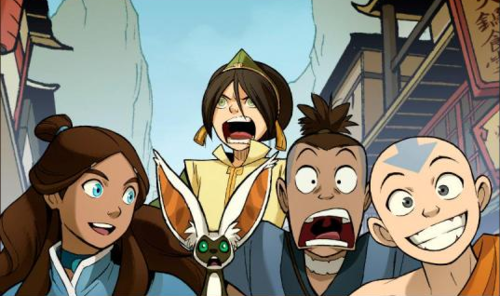 No, he was afraid of Toph when she jumped into Appa's saddle in The Promise. This photo is just a mishmash of stuff from pages of The Promise. I know it was. I just felt like explaining. No problem.